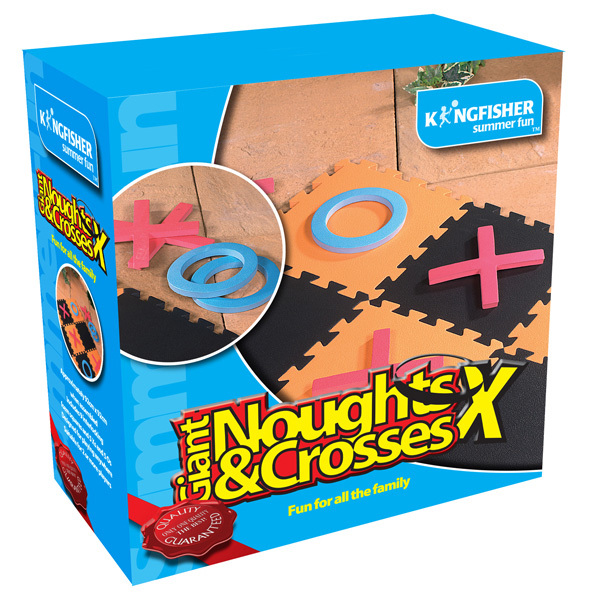 Giant noughts and crosses garden game. 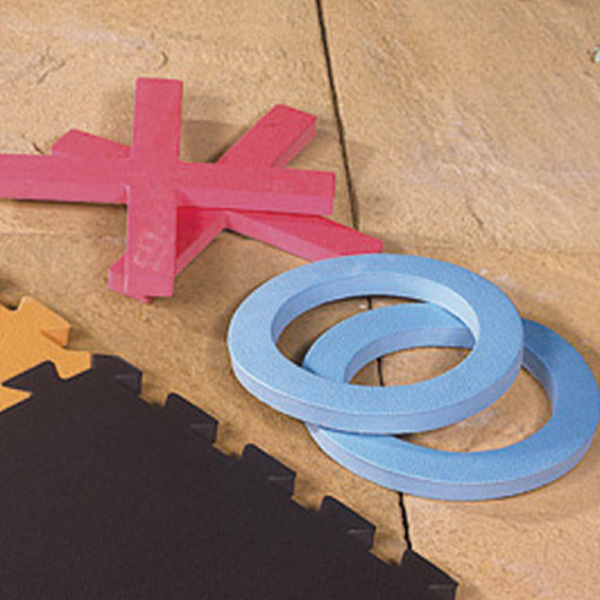 Includes 9 piece interlocking foam pieces to form 90x90cm playing board and 5 each playing pieces. For 2 players age 5+.